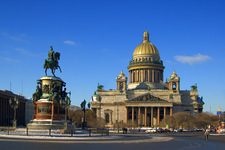 The conference will be held at the Radisson Royal Hotel, 49/2 Nevsky Prospect, St. Petersburg, Russia. Information how to get from airport will be here. 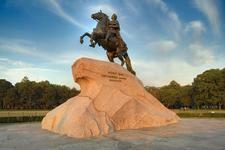 Currency rate ($1 ~ 30 rubles, €1 ~ 40 rubles). Weather (average temperature in August is 16.9 °C / 62.4 °F) . 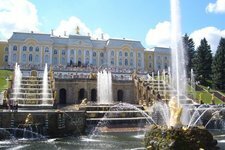 Places of interest on Saint-Petersburg.com and wikitravel. There are a lot of restaurants in the city center close to Radisson Hotel. 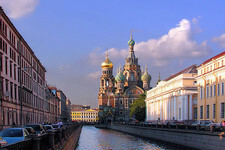 The St. Petersburg underground permits unlimited travel on a single fare. A single-trip token costs 25 rubles. Another option is a smart card that can be loaded with a preset number of trips; to enter the underground, pass the smart card over the white circle located on top of the turnstile. Smart cards can be reloaded in the ticket window at any time. Please do not take photos or record videos in the underground: it is prohibited and may cause trouble with the police. It is a good idea to stick to the right side of the moving stairway – those in a hurry come rushing down the left side. The doors are automatic, so in case of a crowd, take care that your clothes do not become stuck in the doors. On municipal buses (numbers without letters T or K), trams, and trolley-buses, you should pay a ticket-collector (he/she will most often wear a red arm-band and orange jacket). One ticket costs 21 rubles. NB: These forms of transportation make only regular stops, so do not search for a stop-button or pull the emergency brake. NB: It does not matter which door you use to enter or exit the bus, except on buses not having a ticket-collector; on these buses, you should pay the driver and exit through the front door (on these buses, only the front door opens at first, and the other doors open after passengers have already exited). On commercial buses (marked by letters T or K) you should also pay a ticket-collector, whereas on minibuses you pay the driver when you enter. On some (bigger) buses you pay the driver when you exit. The price depends on the line (usually 30 rubles), and it is always clearly marked. By showing your passport, you may purchase a temporary local mobile phone number for 200-300 roubles at any communication service resellers ("Евросеть" (EVROSET') and "Связной" (SVYAZNOY) are commonly located near underground stations). As for service providers, Megafon and MTS provide slightly better coverage (no difference in the city, but far-away suburbs may get better reception), whereas Beeline and TELE2 are cheaper. 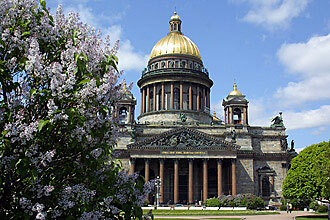 There are many places of historical and cultural interest in St. Petersburg. Only a few examples are given below. How to pronounce Russian letters. Also you can use the following tutorial: Learn Russian alphabet in two hours.